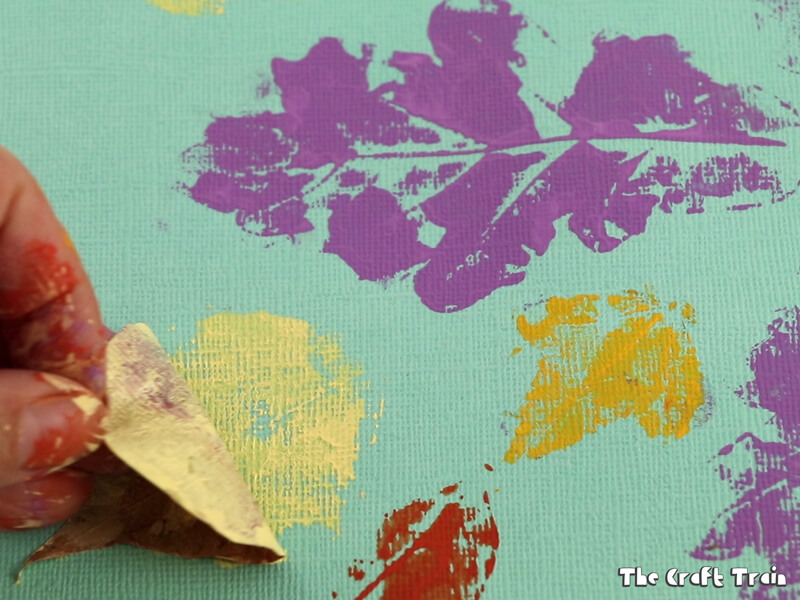 Create vibrant artwork with this simple mandala leaf printing technique! The bright, block colour backgrounds have a pop-art look about them, and a group of these together would make an effective wall display. 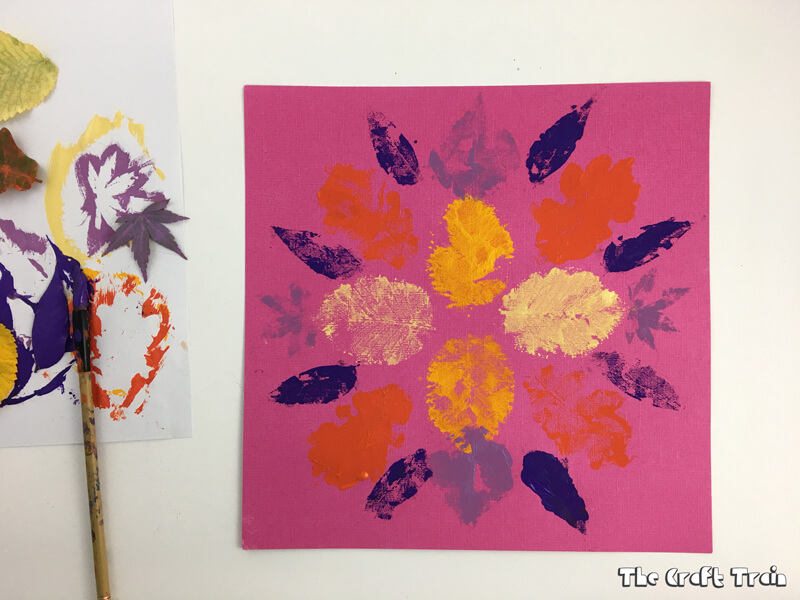 Mandala leaf printing is a great Autumn or Fall art activity for older kids, while younger kids would also enjoy the process of leaf printing but it might be easier for them without the mandala patterning. 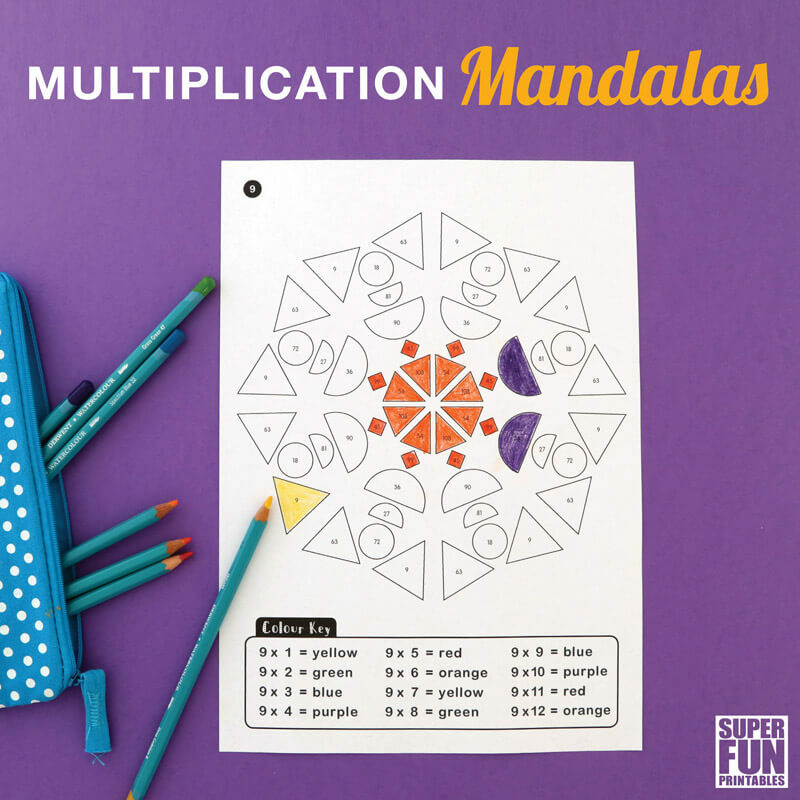 Mandala pattern-making is a good way to learn about and practice symmetry which will help kids in maths as well as creativity and art. 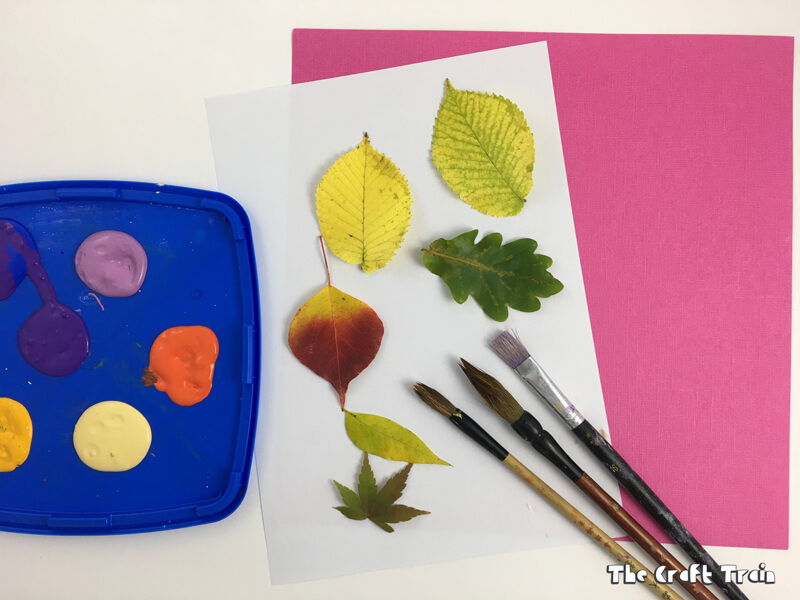 Unorganised as ever, this is an activity I did back in Autumn and meant to share with you a while ago. Meanwhile, it’s almost Spring and allergy season is in full swing in our house. 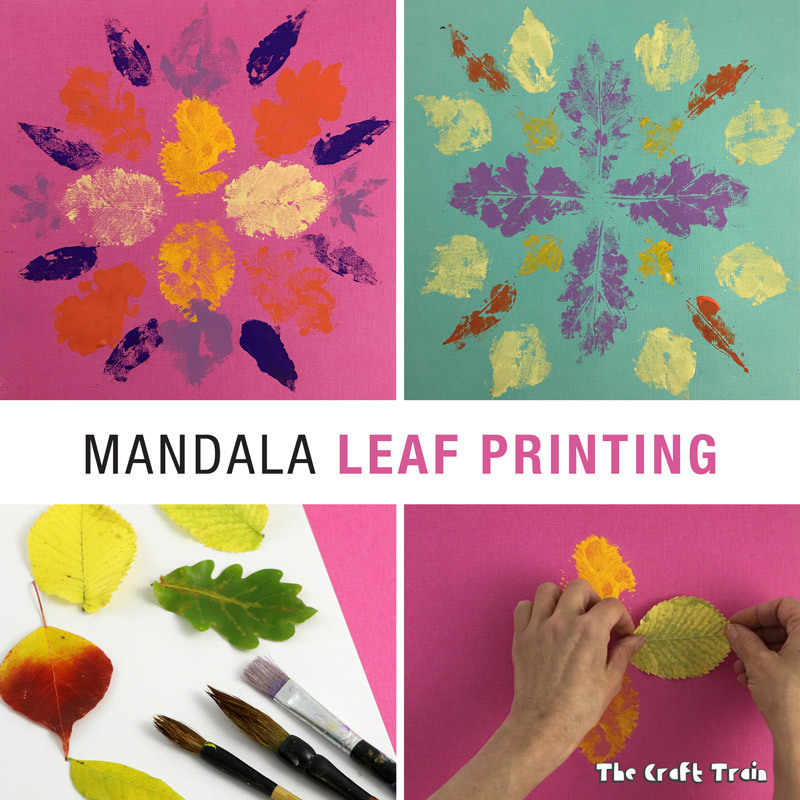 Luckily for our readers on the other side of the world your Autumn/Fall is not far away, and you can do mandala leaf printing with green Summer leaves too. 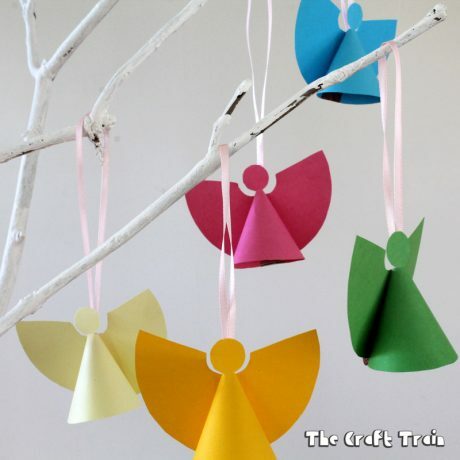 Aussies, we have so many evergreen tree species we can create these ANY time of year. First of all you’ll need to get outdoors into nature to find your leaves – physically going outside and collecting the them is fun. 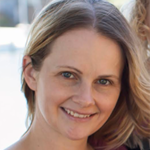 I miss the days when my kids would dawdle along picking up interesting-looking sticks, rocks and leaves to bring home. 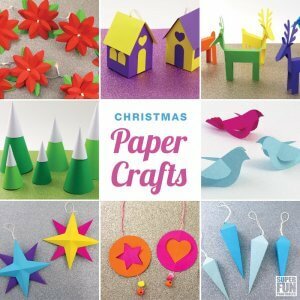 For this activity I had to collect some all by myself one morning after walking the girls to school, and it just doesn’t feel the same. 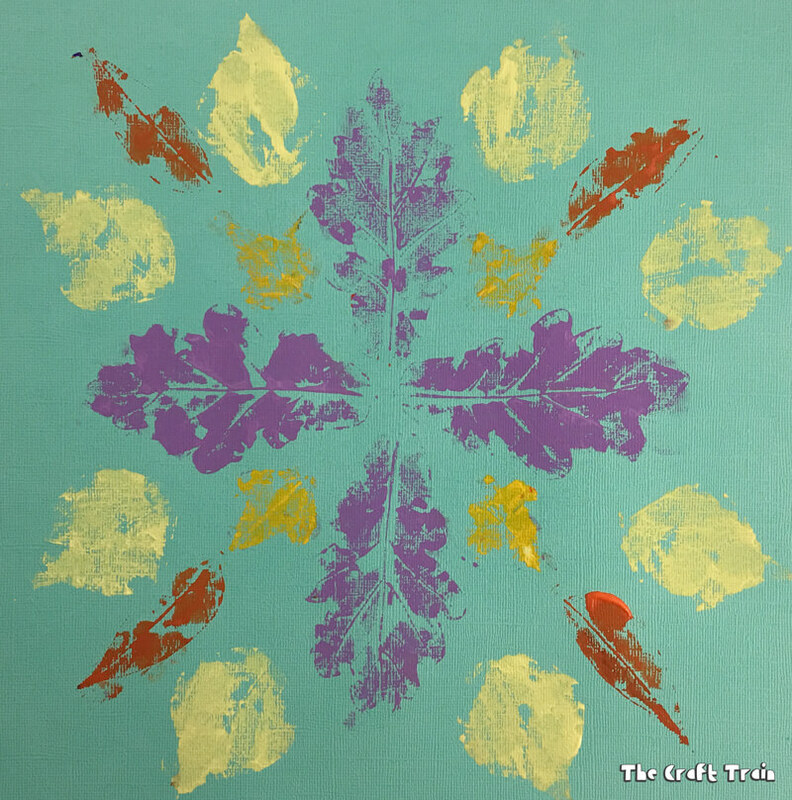 Here’s a video of the leaf printing I’ve created which includes a time lapse of the mandala above, or scroll down for step-by step instructions and the materials list. 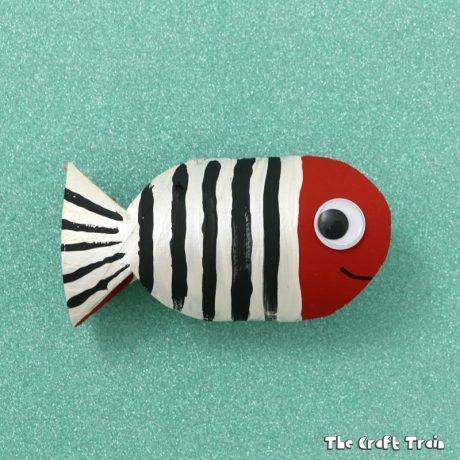 • Acrylic paint – this paint is good for gaining a bright, opaque colour against the equally-bright background. Poster paints or a good quality kids paint would also work well. 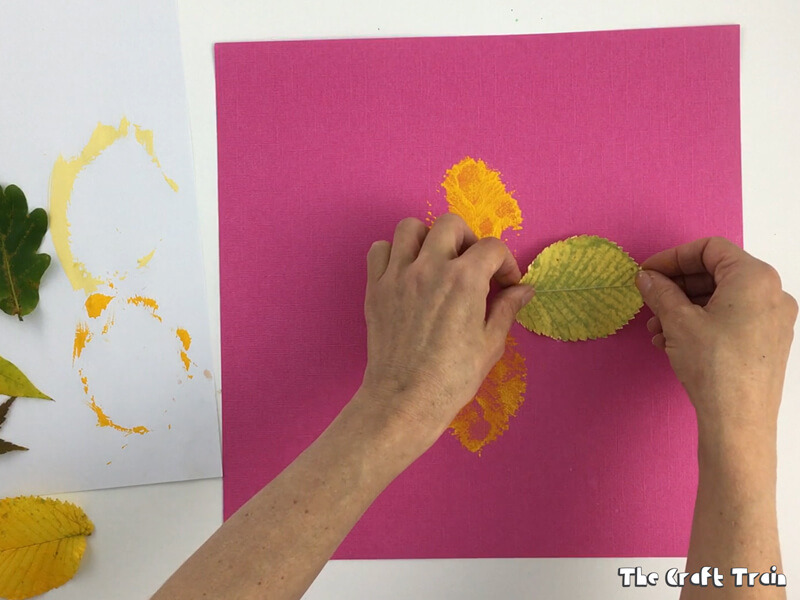 Press your leaf onto the paper, somewhere near the middle but slightly off-centre so you can create a mandala pattern. Rub the back of the leaf with your fingers in order to get a better and more detailed print. Slowly peel the leaf away. Repeat, using different leaves, in a circular and symmetrical mandala pattern. See, super simple! 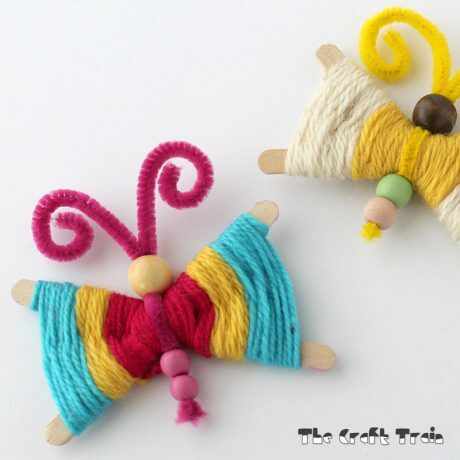 I love how bright and colourful they turned out. 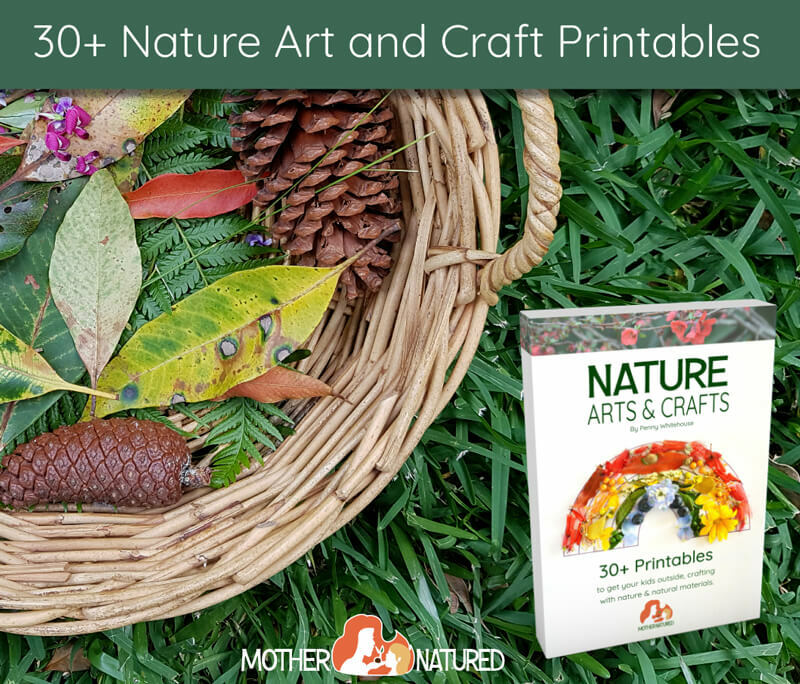 If you like this mandala leaf art idea, you’ll love this nature printables pack by my talented blogging friend Penny from Mother Natured! 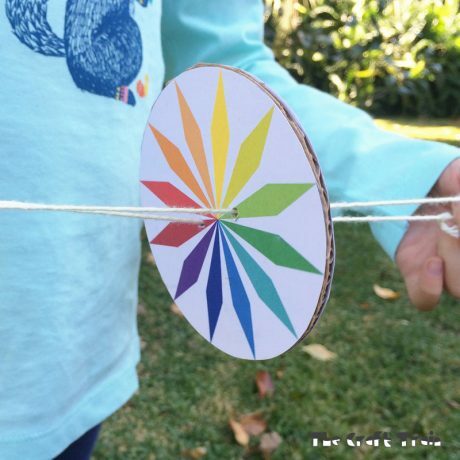 There are 30 creative and fun printable ideas inside to get kids outdoors, using their imaginations and having fun. 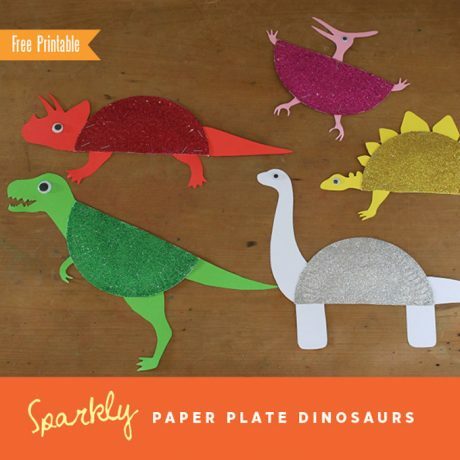 If you are interested you can see more details and buy your copy here.